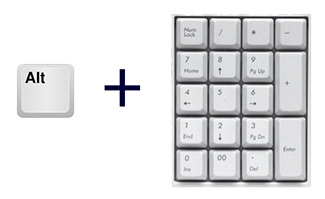 Press and hold down the Alt key then type the number code. Let go of both fingers at the same time. Print this chart out as a handy reference. Accent Codes . All rights reserved.